Ballyoptic is Tony Calvin's pick for the Grand National. "He finished a short-head second to Joe Farrell in the Scottish National back on good ground in April and he has shown that more testing conditions hold no fears with several good efforts in the soft - including an Exeter defeat of Elegant Escape - and he also beat Vintage Clouds in heavy ground at Wetherby last season." 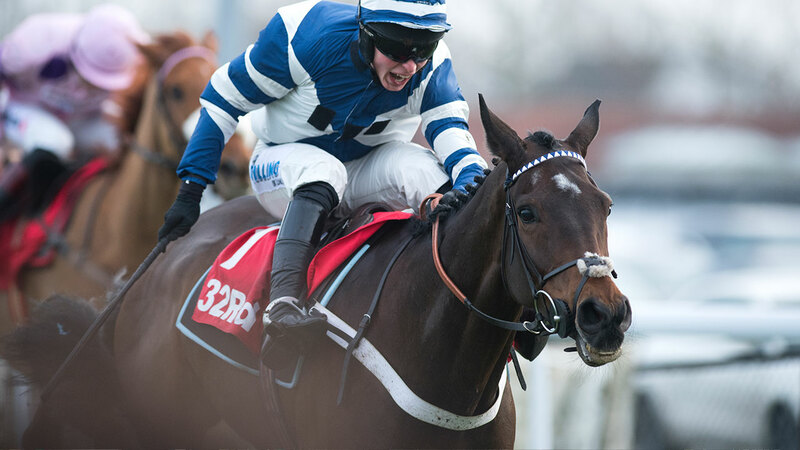 Ballyoptic looks the fresh play at [50.0] or bigger in the Grand National at 17:15. I was going to have a mini-rant about the no-show of Pairofbrowneyes but I guess that is part and parcel of ante-post punting and there is probably more to his absence than meets the eye, so let's move on. And hopefully Ballyoptic can leave me with a smile on my face. The 9yo certainly has a good fit for the race if turning up on his A-game. He finished a short-head second to Joe Farrell in the Scottish National back on good ground in April and he has shown that more testing conditions hold no fears with several good efforts in the soft - including an Exeter defeat of Elegant Escape - and he also beat Vintage Clouds in heavy ground at Wetherby last season. So while he may not be the best handicapped horse in the race (he is actually due to go down 1lb in future), his stamina and ability to act on the ground are pretty much assured, and that is half the battle. Most of the other 50% rests on current well-being, and we could have an issue on that score, given that he was never travelling and ran abysmally when we last saw him in the Haydock Grand National Trial in February. He really did run an absolute shocker there. But there could just be a reason for that. Haydock was the fourth time he has run in a tongue-tie and on each occasion he has badly underperformed (though his sixth in the Welsh National wasn't that bad, admittedly), so hopefully it will prove to be a big positive that it is discarded here. And, speaking as someone who has a bad gag reflex and makes life very tough for dentists, I can fully understand where Ballyoptic is coming from if that does bother him. Nil by mouth is the way to go. 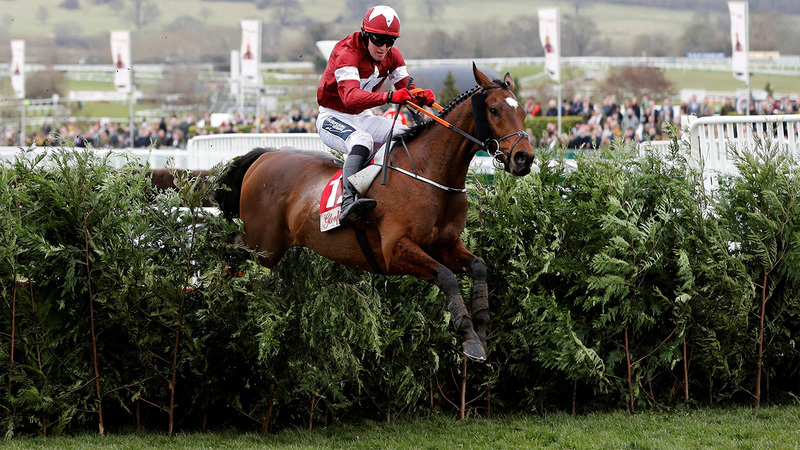 Now, the fact that he has fallen four times in his career is not something we can gloss over, and one of those capsizes came over these fences in the Becher here in December. But at least he was going well on the outside when taking a tumble at halfway there and, if he does put in a clear round, then I feel he is set to run a real biggie. It is easy to put up two or three selections in a race like this, but I can going to rely on just the one bet given my ante-post travails. I have no issue with last year's victor Tiger Roll's price of around of 4/1 as he is far away the most likely winner, and others that I would fear most include Lake View Lad and Up For Review. Good luck whatever you plump for, though. 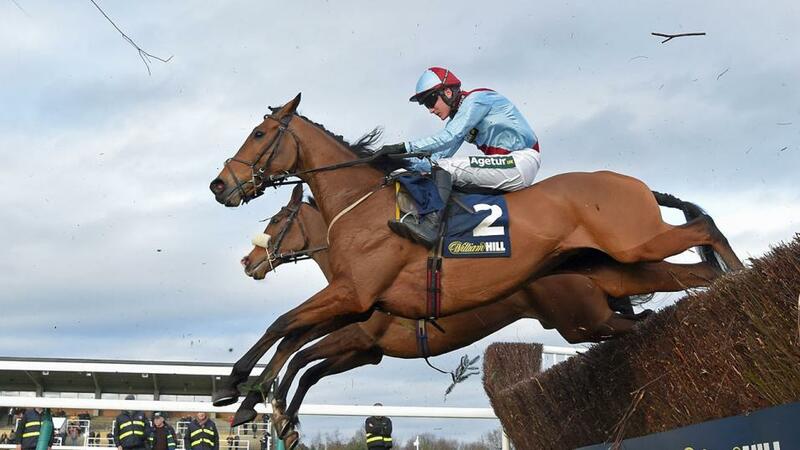 Can William Henry back up his Cheltenham win? I fancied three horses at various stages of looking at the Stayers' Hurdle at 15:40. I started off thinking If The Cap Fits could be the bet, as he has been crying out for this trip and the first-time cheek pieces can be seen as a positive given his trainer is an above-average 4 from 15 with this option since 2016. But a price of around 6/1 is just fair at best. Then Agrapart came on my radar at 40/1 with the Betfair Sportsbook given Thursday's rain would have been right up his alley, and he has run well on all three starts here. But then I landed on to my main selection, William Henry, and not out of loyalty because he did me a huge favour when getting up in the final stride to win the Coral Cup by a short-head last time. Although he certainly endeared himself to my Betfair betting balance that day. Fine margins and all that. Everyone makes a big deal of how valuable the 7lb mares allowance is in races such as this, but I can't get overly-excited by Apples Jade, so lack-lustre at Cheltenham, and Roksana, clearly fortunate to prevail at the same meeting, at the odds, and the same applies to Sam Spinner. But William Henry seems over-priced to me, and is the bet at [14.0] or bigger. Even though he finished fourth in the race the year before, William Henry went into this year's Coral Cup pretty much unfancied by connections, and perhaps unsurprisingly so given that he had last been seen when pulling up at Wincanton on Boxing Day. But Nicky Henderson's vet worked the oracle with a wind op, and the horse got up in the final stride to land the handicap by a short-head off a mark of 151. He has gone up to 156, which actually makes him the third highest-rated horse in here (behind Cheltenham runner-up Sam Spinner and Apple's Jade), and the step up to this 3m149yd trip for the first time could well see him progress past them. He certainly shaped as though it was worth chancing at Cheltenham, and he is a full-brother to a 3m winner in Electric Concorde, as well as the Ebor winner. And he also has a strikingly similar profile to his former stablemate Whisper, who also ran in the same colours of owner Dai Walters. Whisper won the Coral Cup in 2014 off a mark of 153, by a short-head, and then came here to win this race by 7 lengths at 4/1, following up a year later. Of course, that is no guide or guarantee that William Henry is similarly talented but there must be a fair chance he will stay, and there could be a lot more improvement to come from him now that he has had his breathing sorted out. And his two best efforts over hurdles to date have come on soft ground. I am going to take two against the field in the opener at 13:45, in Theclockisticking and Keeper Hill, despite a nagging doubt about the going for both (though this track does dry quickly if the rain stays away from hereon in). There is no big story about either, but Theclockisticking comes here after being eased 1lb for a good sixth to Sire Du Berlais in the Pertemps last month - where he lost a good pitch when rounding the home turn - and that was his first start back over hurdles after a brief spell chasing. He ran a far race over 2m4f here last summer but 3m is more his trip. He travelled well at Cheltenham, and stuck on well on the run-in once getting to the rail, and hopefully the ground won't prove to be too soft for him. Back him at [21.0] or bigger. Kelly Morgan's Red Indian is very interesting stepping back to hurdles off a good mark in first-time cheekpieces - he finished seventh in this race last year - but I just wonder whether this trip stretches him, for all he finished a good fourth in the Kauto Star in December, and Keeper Hill gets my second vote. He ran as well as could be expected in the Stayers' Hurdle last time, and he has won on this ground, for all it may not be ideal. He looks well handicapped on just a 5lb higher mark than when beating subsequent winner Oh Land Abloom over 3m1f at Warwick in January. Back him at [27.0] or bigger. Federici has quality but does he have the form? Angels Breath could well bounce back from his Supreme disappointment over a more suitable trip in the 2m4f Grade 1 at 14:25 but I would want more than 3/1 to back him, thanks. And I can easily leave the following 2m Grade 1 novices' chase at 15:00, to others as well. I went round the houses in the 3m1f handicap chase at 16:20, and nearly sided with Kildisart but Federici gets my vote at three times the price at [26.0] or bigger. I backed him when he ran a shocker in the Skybet Chase last time but at least he was dropped 2lb for it, and he is now 6lb lower than when a good fifth here in the Becher in December. That makes him a well-weighted horse, and he is no 25/1+ chance if reproducing his best form of early 2018. Scheu Time would surely have run out a convincing winner in this race last season but for falling at the last - he had just taken it up and was seemingly set to stride clear - and he looks to have a favourite's chance. Back him each way at [8.2] or bigger in the 2m Handicap Hurdle at 18:20. He has not raced since finishing last at Musselburgh on New Year's Day but that wouldn't concern me too much, as he goes really well when fresh and he can race off the same mark as when so unlucky in this last year. And he also has the assistance of 3lb claimer Jonjo O'Neill Jr, who was on board when the horse fell when a 5/1 poke for a valuable Ascot in November. His jumping is clearly an issue but he looks to have a big chance if standing up. I can't resist a small saver on Always Resolute at [17.0] or bigger, though. He may be 3lb higher than when just getting touched off at Catterick last time but he is still rated lower than he was in 2017, and the soft ground here will suit him, especially over a trip that may be just a touch short of his best. And I like the first-time visor angle for him, as the trainer is a handy 18 from 96 with this headgear option in recent years.